Free download biosphere reserve of India English version. 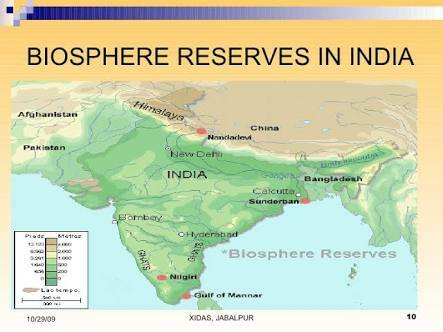 Free download Biosphere reserve of India full PDF English version. Biosphere reserves are areas of terrestrial and coastal or marine ecosystems or its amalgamation. 🔘 The biosphere reserve network was launched in 1976, two years after the initiation of MAB- Man and the biosphere programme. 🔘 Government of India established 18 biospheres in the country (categories generally relating to IUCN Category V Protected areas). to provide support for research and analyzing the issues of conservation and sustainable development. It involves an entirely secured and protected ecosystem that contributes to the preservation of landscapes, ecosystems, species and genetic variation. It encompasses or adjoins the core areas. It is utilized for activities compatible with sound ecological practices that can fortify scientific research, monitoring, training and education. It is the part of the reserve where the greatest activity is permitted to promote economic and human development that is sustainable. The World Network of Biosphere Reserves (WNBR) covers globally chosen protected areas. It consists of a vibrant and interactive network of sites of distinction. 🔘 It promotes the harmonious assimilation of people and nature for sustainable development through different ways. 🔘 If one country declares one area as a biosphere reserve, it can nominate the same to under the UNESCOs Man and Biosphere (MAB) Programme. If UNESCO accepts the proposal of the government, the biosphere reserve will enter into the World Network of Biosphere Reserves (WNBR). 🔘 10 of the 18 biosphere reserves in India are a part of the World Network of Biosphere Reserves which is based on the UNESCO Man and the Biosphere (MAB) Programme list. 🔘 Recently, the Agasthyamala Biosphere Reserve was incorporated at the International Coordinating Council of the Man and the Biosphere program of UNESCO that ended up in Peru on March 19. With the addition of the Agasthyamala Biosphere Reserve, 10 of the 18 biosphere reserves in the country have made it to the list.